Kids, Cows and Grass: Is Kansas really an ancient seabed? Is Kansas really an ancient seabed? Liz is a high school classmate of mine who, according to her About Me page, has a "M.S. in Bacteriology and an undergraduate degree in art. After doing medical research for ten years, she now stays at home in Edina, Minnesota with her three kids, culturing more germs than ever!" I think she is a great educator, writer and blogger and I am pleased to say she has visited my ranch and witnessed the birth of a calf with me--of course I blogged about it: "Visitors witness a big surprise--the birth of a calf!" And so did she: "Farm Science." I was thrilled with her blog post on fossils and asked if I could repost it...she responded "of course!" So here you go...and here is her original link to her blog post "Fossil Hunting." Please go visit her blog and leave a comment for her, as well! 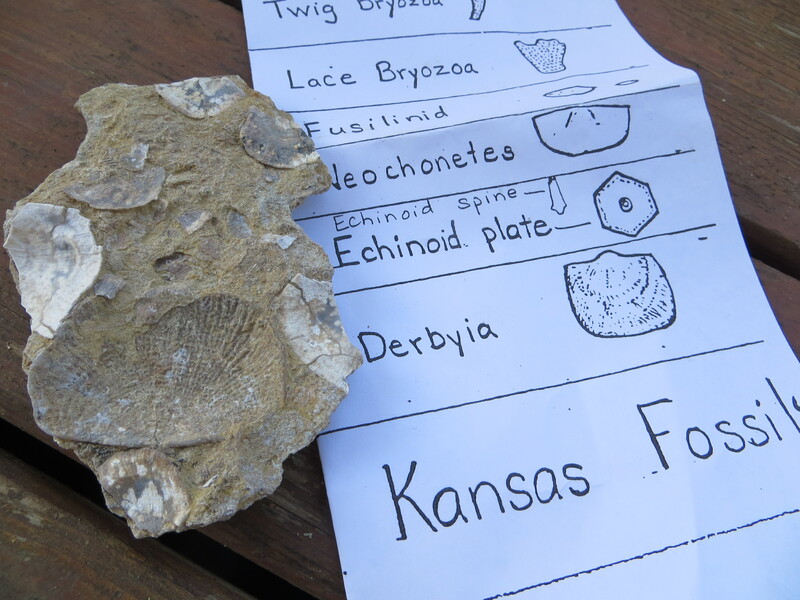 And...yes, Kansas was once underwater and the fossils prove it! Every fossil has a story to tell. Whether it’s the spectacular specimen of a dinosaur curled up on it’s eggs or a tiny Crinoid ring, mineralized remains offer us a snapshot of the past, telling us not only what creatures lived where, but about how they lived and the world they inhabited. 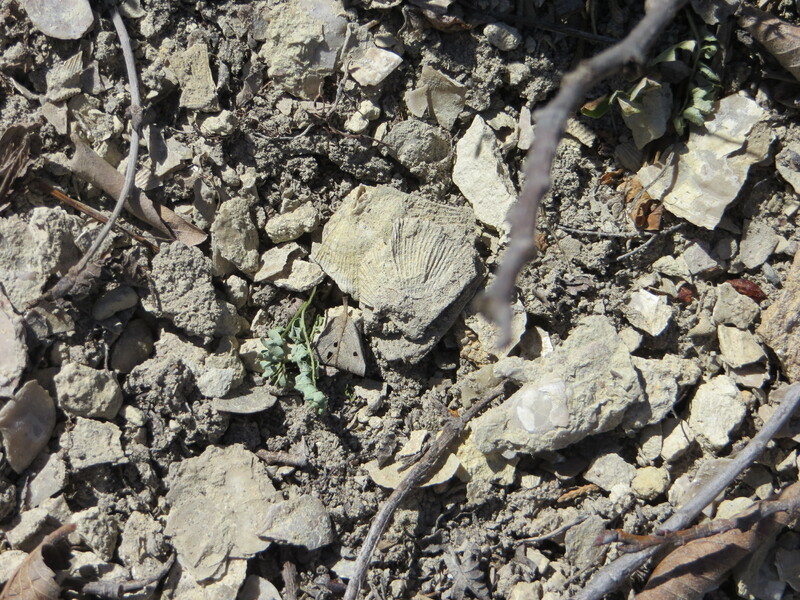 Growing surrounded by the flat-topped, windswept Flint Hills of Kansas, it was hard to imagine that I was living in the bottom of an ancient seabed, but there was evidence of thePermian period all around. 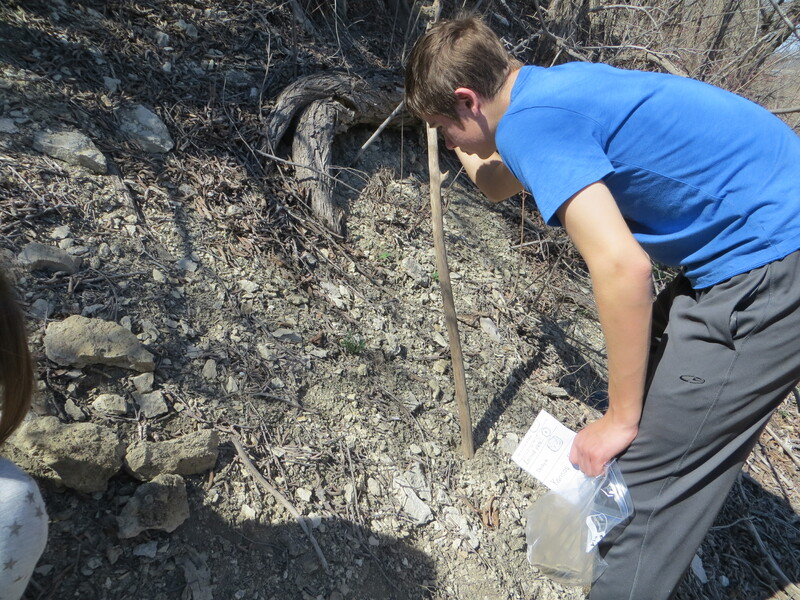 Now, when my kids and I return to my hometown, a fossil-hunting trip is always part of our routine, and we hunt for shells and coral where roads cut through crumbling limestone and and chert (flint.) Looking up at layer after layer of rock and shells, I can almost feel the weight of the water that once covered the land. An episode of RadioLab we heard on the drive North from Kansas to Minnesota explained that coral keeps time and that by comparing modern coral to ancient coral, scientists discovered that millions of years ago, years were about 40 days shorter than they are now. Can you guess why? Give the podcast a listen here. My mind was blown! A visit to the Flint Hills Discovery Center in Manhattan, KS gave us more insight into the amazing geology, ecology and anthropology of the Flint Hills and the Konza Prairie that blankets them. Most people don’t know that the great tallgrass prairies of the United States wouldn’t exist if not for humans, who have been burning them for thousands of years. What do you know about where you live? What’s it like now? What do you think it was like long, long ago? Are there fossils nearby? Adventure upon all the tickets in the lottery, and you lose for certain; and the greater the number of your Pro Custom Writing tickets the nearer your approach to this certainty.